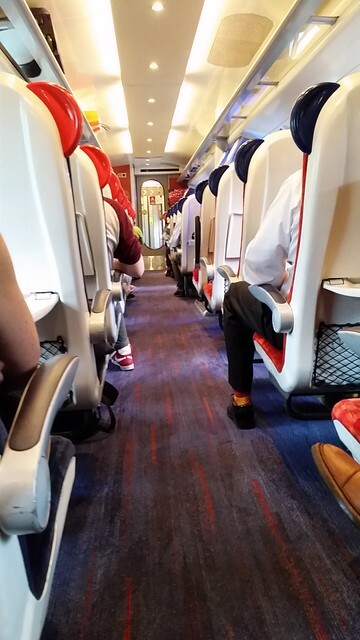 Hop on the train, until it's engine died 2 stations away from Liverpool, everyone off. 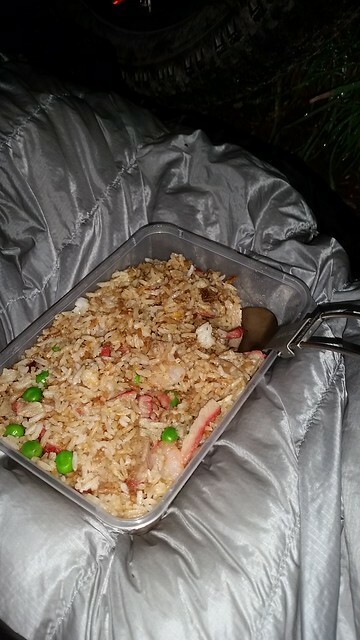 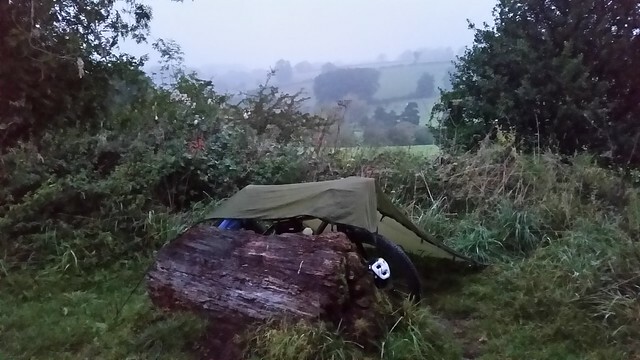 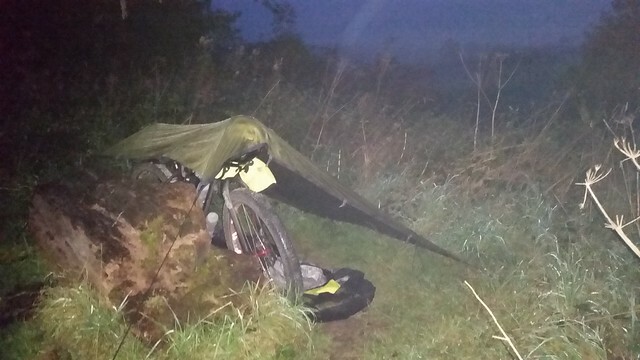 Rather than carrying food and cooking equipment (just a folding spoon) a Chinese Special Fried Rice was bought and put in my back pocket for the 20 minutes to find a bivi spot which acted as a mini heater as the light was fading. 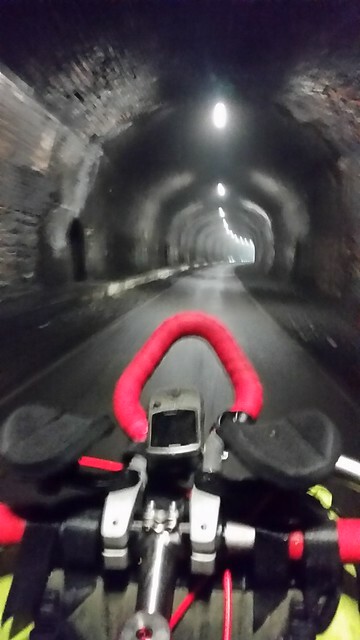 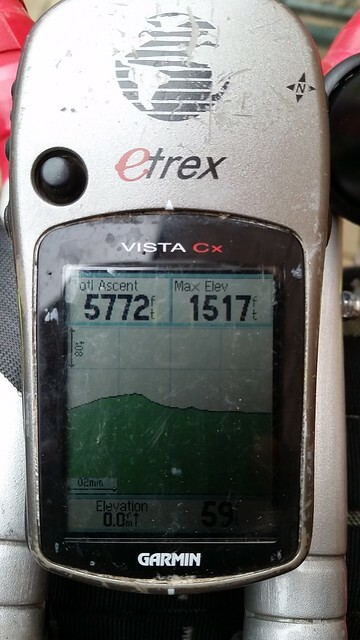 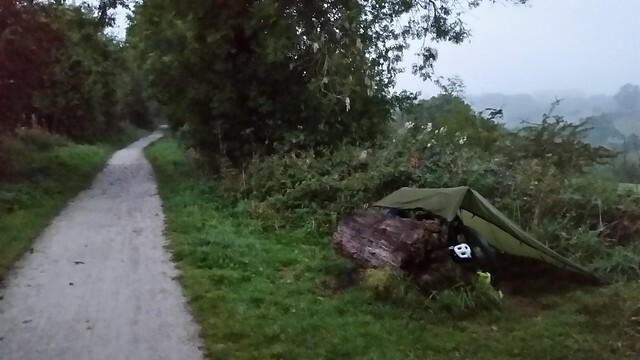 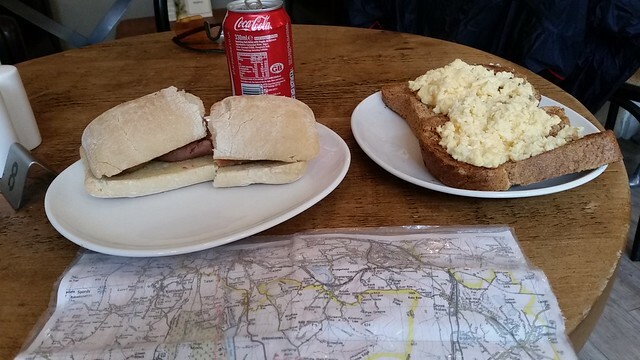 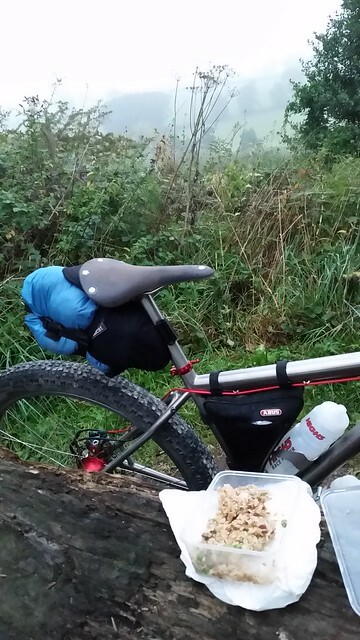 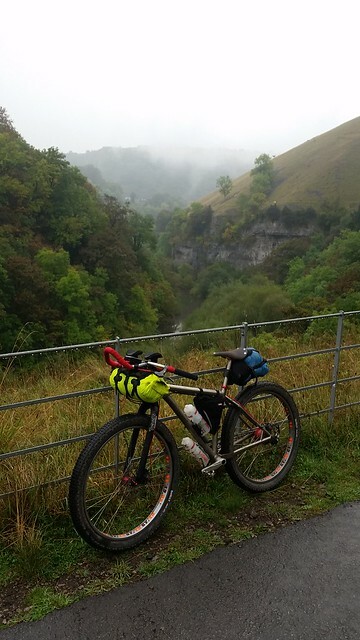 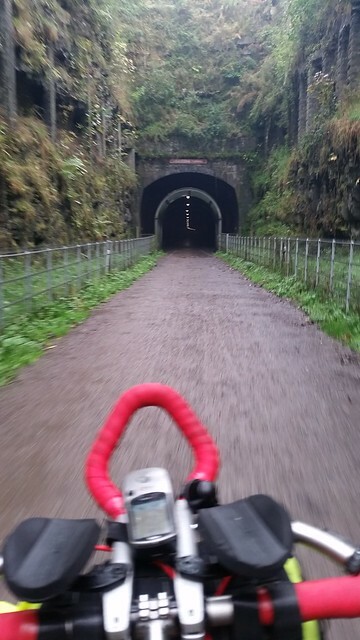 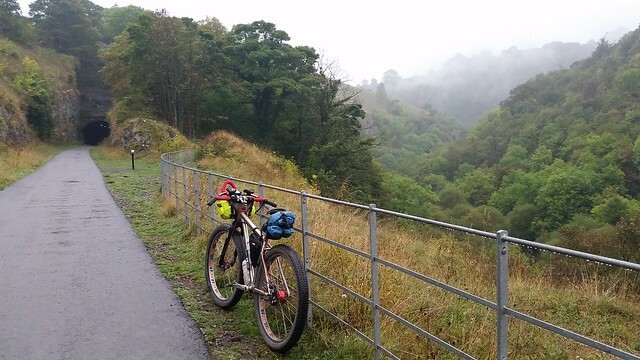 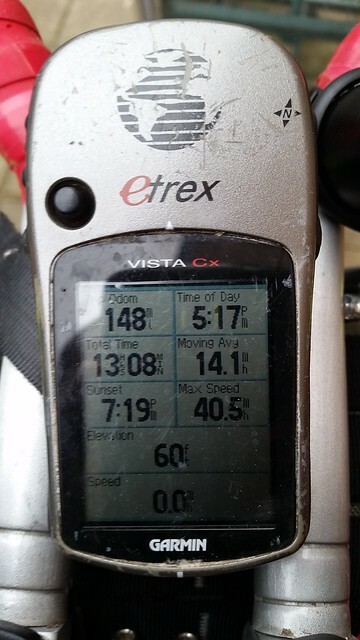 I then rode east in ever worsening drizzle/rain, my new waterproof worked perfectly and got to Bakewell before the cafe's opened, so it was breakfast snack bars until Buxton, via the Monsal Trail which climbs 543ft over 13 miles. 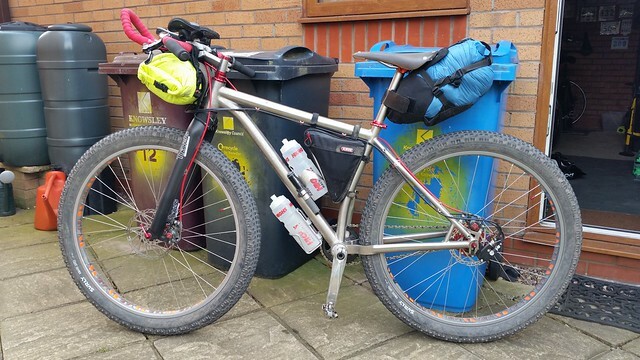 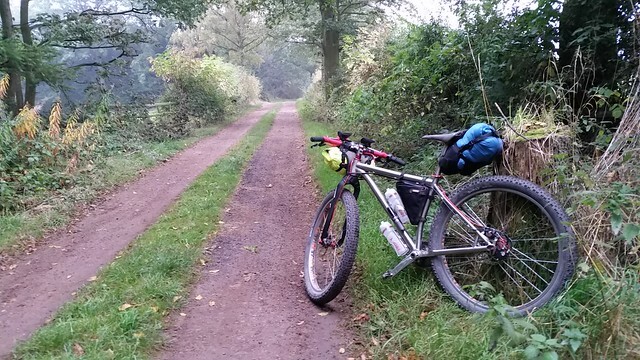 Then I rode off road on the Midshire Way until the canals of South Manchester lead me north to the Trans Pennine Trail. 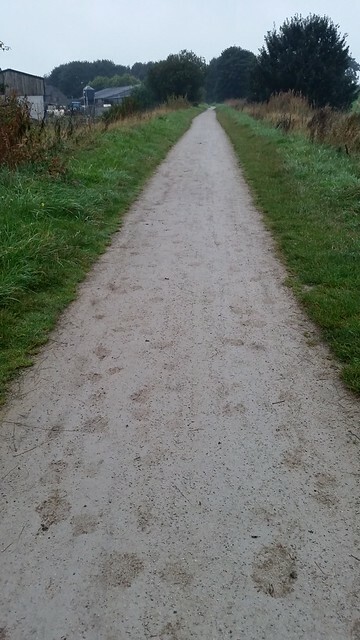 This trail is rubbish it has thousands (well it felt like thousands) of anti motorbike gates around every corner, this was so slow that I then changed directions and headed north via the Trafford Centre up toward the East Lancs Road at Worsley, then it was head down with a slight tail wind all the way home.